Do not tell me you are intelligent until you solve this week's puzzle on PUZZLES PLANET. 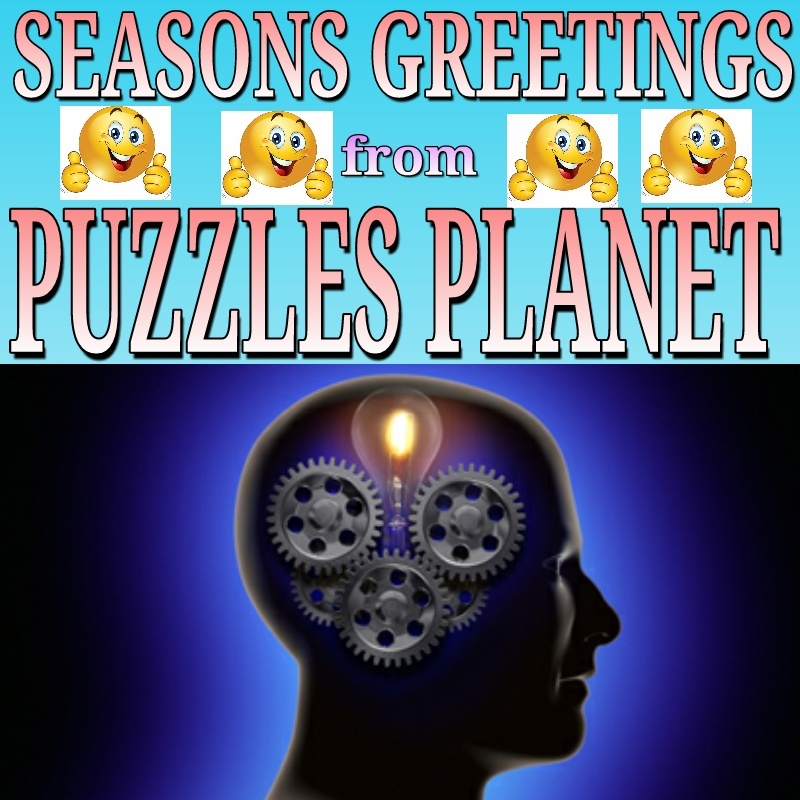 WWW.PUZZLESPLANET.BLOGSPOT.COM is a blog about enthralling puzzles, cross words, word search, games, IQ tests, etc that are specifically aimed at developing your IQ and guarantee you pure fun. Need fun? Just want to be busy? Want exciting games that will build Your IQ? 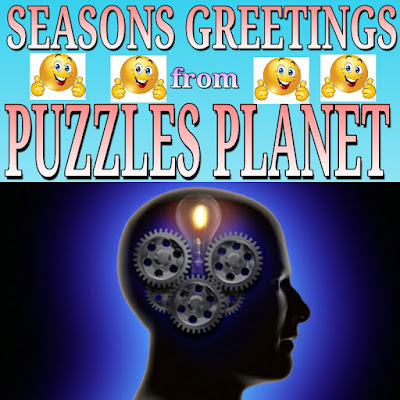 simply visit http://www.puzzlesplanet.blogspot.com. WELCOME ON BOARD. Trust your week is going on fine. It is a new week and we are back again with another exciting brain training exercise. After all, we promised to ensure you get new Brain training exercises every Monday, Thursday and Saturday and we have to deliver on our promise. It is our pleasure to deliver and take you by the hand to the mental gym. Today is Monday 004 series and the brain exercise game for today actually caught my attention. I came across it and was forced to solve it and guess what? When I got the answer, it was fulfilling. It made me feel my logical, mathematical and analytical skills were still in top gear! Won't you hit the gym with me to see how yours is doing? Dan says to Lisa: "Did you know that the difference between you and Peter is the exact number of years it was since Rani was my age?" Lisa says to Dan: "Yes, I knew that. But do you know that if you add all our ages together you get a cube number? Rani says: "Here we go again! As usual the twins are trying to outsmart each other." Peter says: "In two years Dan will be as old and clever as me." How old are the four teenagers? Simple and fun right? That was Monday004 Brain training exercise from puzzles planet. Don't skip this mind stimulating brain exercise game. Ensure you do it and you will feel better! Sharing is caring. Do well to share this puzzle online with your friends and family! Wishing you all the best. Cheers! UPDATE TO MONDAY004 BRAIN TRAINING EXERCISE!!!! WE REALLY LOVE TODAY'S BRAIN TRAINING EXERCISE. THEREFORE, TO SHOW OUR HAPPINESS, WE HAVE DECIDED TO REWARD OUR ONLINE PUZZLE FANS! THE FIRST CORRECT ANSWER TO BE WELL EXPLAINED ON THE BLOG AS A COMMENT GETS A RECHARGE CARD OF THE WINNER'S CHOOSING!TO WIN, SIMPLY WRITE YOUR ANSWER AND EXPLAIN HOW YOU CAME ABOUT THE ANSWER AS A COMMENT ON THIS BLOG AND IF YOU ARE THE FIRST TO GIVE A CORRECT ANSWER, YOU WIN. WE WILL REPLY YOUR COMMENT AND GIVE YOU AN EMAIL ADDRESS WHERE YOU WILL TELL US THE NETWORK OF THE RECHARGE CARD YOU WANT! VOILA, WE WILL SEND IT ASAP!!!! Good effort cos you got many concepts correctly. Like the fact that twins are of equal ages and cube is a power of three. Just a little more effort and you might get it! Let us have them as follows. This tends to be true since they are all teenagers. Peace. AN IMPRINT OF PUZZLESPLANET. Simple theme. Powered by Blogger.